Make your event unique with this show stopping fully licensed carousel bar. If you are planning an event or social occasion that you want you guests to remember for a long time this perfect solution to make your party go off with a bang. if you are planning a wedding and you are looking for original wedding ideas The Carousel Bar is a perfect solution. We pride ourselves in providing hospitality hire with a difference offering a wide array of services that can be tailored to meet your specifications. This is your chance to put on a wedding that your guests will never forget! When you hire the Carousel Bar we provide an array of optional services tailored to your needs including; fully trained bar staff a wide selection of alcoholic and soft drinks and 2 catering catering facilities to name a few. This makes The Carousel Bar an all encompassing event or party solution making your event management work load much easier. 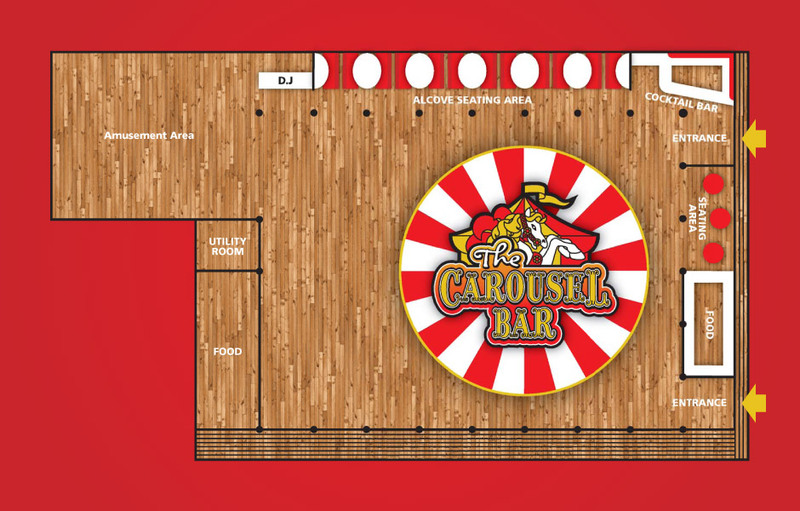 The Carousel Bar is Europe's first transportable revolving event bar hire facility. Due to it's unique mobile design this innovative event bar can be transported anywhere in Europe.